I am a registered architect with over 10 years of experience in retail, commercial & residential design. I am a lead project architect and designer at a small local architectural firm. I would like to expand my professional services to assist you, as a clients, in achieving your home goals. My passion is working one-on-one with clients to help create spaces they will enjoy for years to come. I offer a complete spectrum of services through the home construction process, from producing photo realistic renderings of your project, to providing complete architectural services to plan, design, permit and see your project through to it's completion. Whether you are looking for help with producing renderings, designing a deck, renovating a room or building an addition, no project is too small and each will be given my full attention and expertise. With over ten years experience, the W Design team brings a timeless, comfortable, beautiful yet functional design to a traditional, transitional or modern style decor. Sixmo Inc. is an architectural and engineering design firm based on the philosophy that the delivery of professional design services should be as efficient and seamless as the solutions it yields. The foundation for our core services is architecture, structural engineering, and project management. We offer these services through a modern business model and working environment, utilizing technology to its fullest capacity. Our means allow us to provide a high value of return for our clients within an increasingly competitive market. Our office is located just 15 miles west of downtown Cleveland in Westlake, Ohio, easily accessible via Interstate 90. Sixmo Inc. has the capacity to serve many architecture and engineering markets, including commercial, residential, public sector, manufacturing, and heavy industrial clientele. With great passion, talent, and education our design team implements thoughtful and timeless designs with ease. We also have a custom curated home décor store to find your one of a kind pieces. Viking American Designer of the Year, HGTV's Top 10 Under 35, NKBA First Place Before & After Kitchen. Our firm is renowned for creating one-of-a-kind pieces and hand-crafted design features. 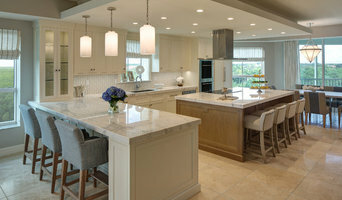 We are custom kitchen and bath solution specialists providing a seamless transition from design to final development. We strive to incorporate the timeless durability of classical architecture presented at the peak of contemporary innovation. Oasis Kitchen and Bath works to turn your Kitchen and Bath dreams into Kitchen and Bath reality. Oasis Kitchen and Bath is a comprehensive Kitchen and Bath design and installation firm specializing in custom kitchen and baths tailored to individual customer specifications. At Oasis Kitchen and Bath, we strive to turn idealistic Kitchen and Bath design into an uncompromising Kitchen and Bath product. Oasis Kitchen and Bath is the synthesis of precise architectural engineering and exceptionally creative design. Our unwavering product line works to incorporate elements of classical kitchen and bath design with remarkably modern innovation. How can we make your Kitchen and Bath dreams a reality? We are a full-service interior design firm that prides itself on high-quality service. Our designers bring experience, creativity & integrity to each project and adapt to fit each client. 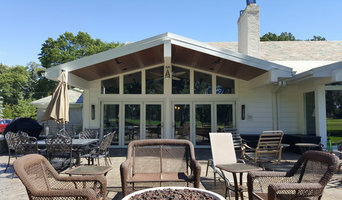 We are a small, hands on design firm specializing in custom residential construction projects. The key for us is the interaction with the clients and the love of doing custom designs. MMA,Inc is a Sole Proprietorship, dedicated to the Idea that I am not going to live in your house ! I is personally important to me that the house you build becomes YOUR Home, a place where you and your family are happy and contented. Blulens Design provides everything from space planning to complete renovation and installation. Linda has a passion of mixing old with new, and repurposing items to create a new living environment.